Recently I had a phone appointment with a nutritionist. My doctor thought it might help me with my stalled weight loss. I gave her the short version of my weight loss history, how I lost the weight the first time and gave her samples of some recent day’s eating. I also told her my typical workout schedule. She went on to say that I’m already doing “everything right.” She said that my food choices are good and healthy. She liked how much protein and vegetables I get in my daily diet. She asked me about micronutrients and I told her what MyFitnessPal recorded…she said that my carb intake was decent. She said she didn’t really recommend eating less carbohydrates that what I currently eat because I’m at a good number on average. “Based on estimated needs and reported intake pt should be able to lose some weight if she is consistent with this intake. Diet is well balanced with a lot of fiber, protein and vegetables. Moderate portions of carbohydrates. Unclear why she isn’t losing weight. Suspect she may need to aim for lower end of range ~1600/day most days. Anthropometric data – BMI is ~25 with reported weight. The only suggestion she had was to try experimenting with my calories. She suggested that I try to cut my calories down to 1600 for a few weeks, and if I don’t see any progress then I should experiment with eating MORE calories to see if that changes anything. She recommended adding brown rice to my dinners. Michael and I don’t eat a lot of “carby” things…Like we rarely eat pasta and eat rice maybe once or twice a month. If I eat those things they are usually in a Lean Cuisine at lunchtime. I do like rice a lot, so I’m okay with adding that back into dinners. We used to eat yams and sweet potatoes with dinner but haven’t done that in years, either. I started eating them again with lunches and I’ve enjoyed that. And if I’m going to add dairy to the plate as they suggest, I would rather it be cottage cheese. I told Michael about the phone appointment and he said that maybe this is where my body is going to be just naturally. It’s very sweet of him to say that but I am frustrated about it. And to have my doctor and the nutritionist dismiss my concerns with “well you are getting older” seems like BS to me. That’s not an okay excuse. Being older does NOT mean you can’t lose weight. I refuse to accept that as the “answer” and to just give up. I am not giving up. Then I got sick and took a big break from working out, and the back injury made my fitness levels pretty low already (just swimming and the elliptical). Taking prednisone for a week added about 3 pounds to my number. I weighed myself last week and it wasn’t as bad as I was expecting it to be. But it was still not a good number for me. After all of these setbacks I’ve decided to try and reduce my calories a lot more than I ever did when I was losing weight the first time. At the very least, my hope is that it will jump-start my body into losing weight again. Since I’ve been sick and not working out as much this isn’t the best reflection of how my calories usually go but it’s close. I TRY and have 150-250 calories left over after gym days but many days I can’t. I just don’t make that benchmark and I wish I could. But analyzing it I started to wonder if it was mental. I see the “Green Light” and think I have more calories to eat and eat them back. I need to be creating a deficit otherwise I just maintain (which is where I have been for months). I’m not really gaining but I’m not losing either. So I changed the settings in My Fitness Pal to “lose 2 pounds per week”. I know I won’t lose 2 pounds per week, but it reduced my caloric goal each day from 1510 to 1230. That’s low for me, but I’m going to try it for a few weeks and see if it helps. I don’t know yet if I still need to create a deficit–or if simply reducing my calories to 1230 each day will kick my body into losing mode. I am going to experiment and I will let you know! 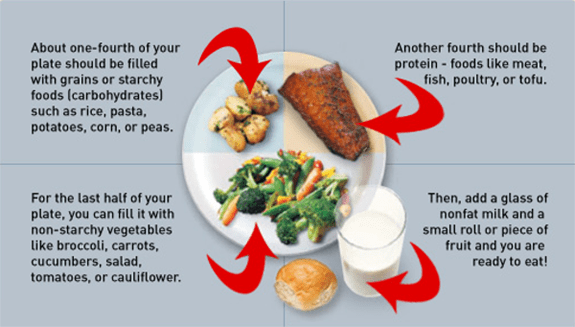 For now…I am trying to get the most nutritious and filling food into that calorie goal. Wow, I think I would pass out at only 1230 calories a day! Here are my two cents worth, and what worked for me when I lost my 70 pounds on WW. Do you remember the Wendy plan? Basically you took how many “points” you were allotted for the week and broke them up differently each day – but in the end you ate all your points in a week. Say 25 points are your daily goal. 175 points for the week. So one day you have 19 points, but then the next day you have 31 points, and change each day so it keeps your body guessing. I noticed if I had any plateau and saw my meal plans they were always almost exactly the same calories each day. When I shook up how I ate my points, the scale always moved. Agreed! I balked at reducing my calories that drastically, BUT I did it last week (post coming tomorrow) and it wasn’t as bad as I thought it would be because I ate back some of my workout calories. So I wasn’t REALLY eating 1230 calories a day. I never did WW but I like your plan of changing up the activity points. I think doing the same thing every day is when it gets stuck. what about sodium etc? I see Lean Cuisine and shudder – even though the calories are few…. I’ve tried things like half a sweet potatoes with a soft boiled egg (yes, reverting to childhood). But very filling, not a lot of calories and somehow to me an orange veggies (ok starch) is better than a piece of whole wheat toast. Yep I am changing up my foods, trying to find filling foods that are high in fiber and good fats. As for the Lean Cuisines–sure, they aren’t the best but they are portion controlled. I try not to eat them too much. Right now I eat them for lunch 1-2x a week and try and have leftovers or salad/soup etc the other days. Sometimes the convenience is just necessary. Hmm, interesting. How about mixing up your workout routine? Trying something with lots of dynamic movements (I’m sure Portland has tons of parkour classes, because Portland)? You could always try to experiment with the starch intake, too (even though she said it was good), or eating beans instead of rice/potatoes/whatever. Yes, beans are a regular thing in our house, just not lately. I definitely don’t want to add a bunch of bread and potatoes in my diet. I am currently experimenting. I need to get some sweet potatoes because I’d rather do that than rice or bread. I hear you. I can’t do the 1200 calories, either. That is what I am supposed to eat to lose 1 pound a week according to MFP – can you believe that? I just shoot for 1500 calories and only eat back some of my exercise calories on long ride days. It’s slow going, but working. It is also a point to consider about trying to maintain where you are. You may not mentally be happy with that, but your body might be. It could end up not being worth what it takes to get and *stay* at a lower weight now. Lori recently posted..Riding in … July? Thanks Lori. I know you can relate. 1500 seems like a good number and it worked well for me for a long time–maintaining, not losing. I am willing to give this a try short term to see if it works (spoiler alert, it is working so far). I hear what you are saying about this is where my body just wants to be…and trust me, I’ve considered that. But like you said I am unhappy with where I am at and just want to get back to where I was before. If I can. Good for you for tackling this head-on, yet again, Lisa! It can be so frustrating, and I am going through a lot of the process that you are right now as well. I am about 10 pounds over where I want to be, and, although I have managed to not gain any in a couple of months, I am not happy with how it feels. My clothes aren’t happy with me either 🙁 I average around 1400-1500 calories a day, and try to keep my deficit around 500, but it just doesn’t seem to be working. I think I would benefit from shaking up my workouts, so I’m planning on getting back to Ripped classes after my half-marathon in 3 weeks. I’m glad to hear that it is working for you and look forward to reading that post for more ideas and inspiration! Thanks for the comment, EmmaClaire. It’s frustrating isn’t it? When you get stuck and clothes just don’t fit right…Ugh! I hope changing up your workouts helps out. I understand your frustration. I did the breath test (who knows how accurate) and it said I normally burn 1643/day. It’s very easy for me to go over that and stay steady at my high weight where is what I’m at now. For me, regardless of the calories, I need to find new ways to organize my eating which seems to help my weight loss (and manage calories without having to count). It also keeps it fun for me. I’m back on the Fast Metabolism Diet which makes sense to me even though I haven’t calculated the calories (and probably won’t as long as it’s working). I just started back but lost 1.5 lbs just after the first day. I no longer eat anything out of a box but almost 100% whole foods. I’m just more sensitive to additives every day. I agree 100% with eliminating the processed foods the best you can. I think that makes a big difference. We try and eat most of our foods without processing (example: we don’t eat a lot of pasta, rarely eat rice, or things from a box). It’s hard though because the frozen meals are easy for me to take to work. I’m working on that! Also, are you eating snacks? I do best with 3 meals, 2 snacks and NO sugar/dairy/wheat. Getting strict like that really helps me. Yep I eat snacks! I’ve been doing smaller meals and still having snacks, usually some fruit or vegetable. 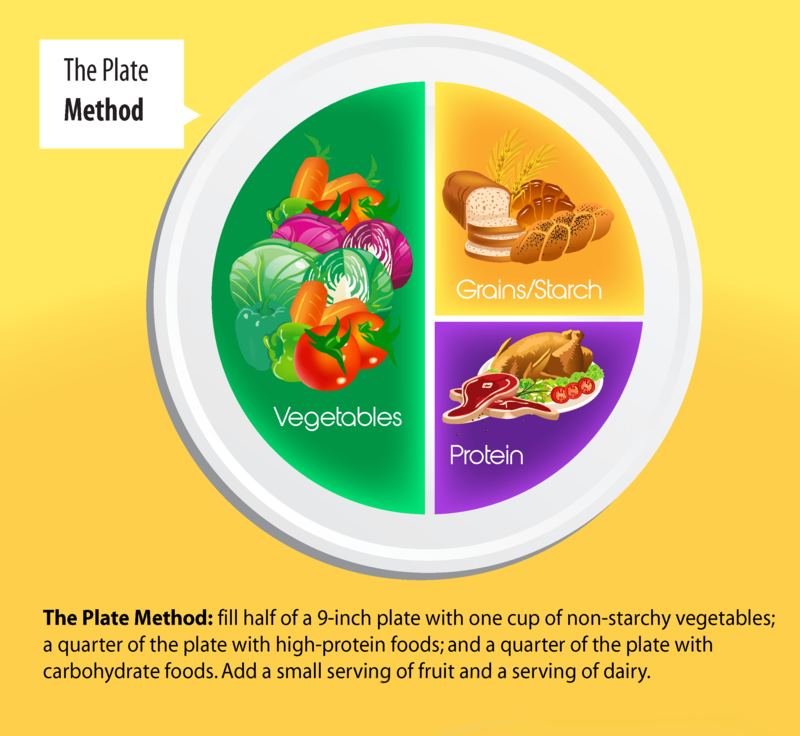 The second plate picture is what the nutritionists in Holland recommend for eating too. Personally I don’t drink milk anymore. I use a little in my cappucino and use it sometimes for cooking but that it’s. It seems milk isn’t that good for adults at all. I should be careful with eating so little calories for a long time because your body will notice and will go in “storage” mode. I think Biz’ suggestion is a good one and variation in your meals is important too. Oh yes, this isn’t going to be a long term thing. I know I can’t sustain it and it wouldn’t be healthy and you are right, my body would just get used to it. Switching things up is necessary. Do you use any type of activity monitor that would tell you how many calories you burn each day? For example, my life — other than an hour of exercise — is pretty sedentary. A lot of sitting at my desk and mostly sedentary hobbies (reading). So, I could not lose any appreciable weight at 1500 or 1600 calories. I actually do eat an average of 1200 calories a week (on WW, usually end up eating about half of my weekly points and none of my activity points). I am used to it and it doesn’t bother me to do so. I know what I need to do since my Fitbit tells me my calorie burn. Which is why I don’t eat back my exercise calories on MFP. With MFP Premium, you can actually set it so that it doesnt add in calories for exercise and you can set different calorie goals for different days of the week. I used a heart rate monitor to track my workout calories burned and then log them in My Fitness Pal. I didn’t know that about the Premium service. I might have to check that out. Thanks for the tip! eager to see how you feel on that number too. Id be CRANKY CRABBY but but but we are all different and our bodies so unique. CARLA recently posted..Lets get HORIZONTAL! The first week I wasn’t too cranky. To be clear, I wasn’t just eating 1230 calories a day and then stopping, I was eating some of the calories burned in the gym too.